Peaches…one of the goodies in Tuesdays Surprise Fresh Box! A couple we had dinner with last week informed us they would be out-of-town this week, and unable to pick up and use their weekly fresh food basket from one of the local fresh vegetable cooperatives. They had told us in the past they had a subscription membership to this cooperative, and we had always wanted to try it out. So, they invited us to pick it up and use the goodies, and of course we jumped at it! We had heard our friends talk about the adventure of receiving this weekly surprise basket (it’s actually a box) of goodies every week, because they sometimes got items they hadn’t tried before. It forced them to figure out what they had and then how to cook it. Interesting concept. On Tuesday, I picked up the box and in it was a couple of cucumbers, some mixed butter lettuce varieties in a plastic bag, fresh basil, a small bag of sugar snap peas, two fresh sweet onions with the green tops attached, a dozen fresh eggs, beet greens (we think), swiss chard (we pretty sure) and 8 small fresh ripe local peaches! What fun! We are still making our way through the ingredients, but I immediately latched onto the peaches. We were heading to the mountains for the July 4th weekend, and I knew there would be farmer roadside vegetable stands full of the early ripening tomatoes. And I have this very simple salad that is just right for this time of year. Sure enough, there were plenty of great tomatoes to buy as we made our way to the mountains. When got to the mountains, we were hungry. In 15 minutes flat I had this great little salad sitting atop the outside deck table along with some crusty bread, a couple of glasses of New Zealand Sauvignon Blanc, and I ordered up a sunny, beautiful view of the mountains. Hot! Guys, this is a double doze of Heaven–a great simple salad of two sweet summer treats, ripe and full of taste and I ordered up an absolutely gorgeous view of the mountains. It just ain’t getting much better than this. Give this one a shot Guys. You’ll like it–she’ll love it. Tomatoes, Peaches Lemon and Heaven–Oh Yeah!! 6 – 8 large fresh basil leaves, rolled together and sliced (chiffonade). 1. On individual serving plates, arrange tomatoes and peaches in alternating, overlapping layers. 2. Top with a few sweet onion strips, if using. 3. In small bowl combine the lemon juice and sugar to mix well. Spoon 1/4 of the mixture over each portion. 4. Drizzle olive oil over each portion. 5. Sprinkle with sea salt and a few grinds of fresh pepper. 6. Distribute basil strips among each plate. 7. Place 1 ounce of cheese on each plate. 8. Serve with French banquette slices. A. Guys, this is one of those recipes where ‘less is more’. Don’t try to do too much. Keep it simple. I’ve served this with just the tomatoes and the peaches, lemon and EVOO and it’s Fantastic! 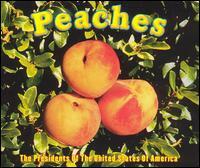 If the tomatoes and peaches are sweet and ripe. B. Don’t try this if the peaches are not ripe, sweet and fresh because it becomes a tasteless grainy mish mash. C. Serve this with any main course or as a nice luncheon salad with some crusty French or Italian bread and a glass of Sauvignon blanc or pinot grigio. Amazing! Another Presentation…Don’t You Love the Plates? It looks like a very good summr salad receipe. I will try it. Thanks Charles. Had it last night and it was fantastic! Send me a favorite so I can publish it. Thanks Charles. It was terrific the other night with goat cheeses and some Italian bread. Enjoy. Hey Lou! I have fresh garden tomatoes and roadside peaches in the fridge ready to go! Was going to grill the peaches after cutting them in half, taking out the pit, and laying them face down in some amaretto for a while. But this sounds way too good to pass up. Thanks! Way to go Mary. How was it? Great to here. How’d your salad come out. did you love the combo? Great and nice seeing you and D this past weekend. Thanks for the comment. Hope to see you back another time.